Who knew that my first legal job would include early am bus rides and kippered salmon? On my first Justice Bus trip, I found out that our volunteers – and the communities we serve – are willing to go the distance. Four months into my position as an Equal Justice Works AmeriCorps Legal Fellow at OneJustice, I found myself boarding a bus at 6:30 a.m. on an early January morning. Law Students from USF School of Law traveled over 600 miles round trip to bring free legal clinics to veterans. 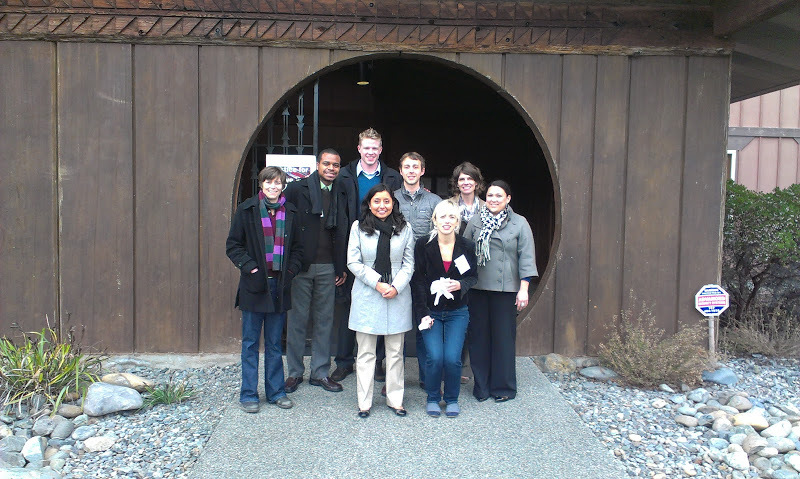 Here they are in front of the Yurok Tribal Center in Klamath. My Fellowship focuses on running the Justice Bus Project in Northern California, so there I was, embarking on our most ambitious Justice Bus trip to date – a two-day trip to Humboldt and Del Norte Counties. This was the farthest distance the Justice Bus Project has ever gone – more than 600 miles round trip – and we were heading out, with thirteen law students and three legal services attorneys in tow. Our goal? To provide legal assistance to Native American veterans by staffing three legal clinics, in two days, in three different locations. Ambitious, right? And to boot, this was my first Justice Bus trip! Now, the Justice Bus Project prides itself on being flexible and modeling trips and clinics in a way that best allows our pro bono efforts to meet the needs of the community we work with. Still, after months of delicate planning, I must admit I had some butterflies: Was the distance too far? Logistically, could we execute such a complicated trip? Would veterans show up? The discussion of a Justice Bus trip to serve Native American veterans in Humboldt and Del Norte Counties began before I started my Fellowship. Judge Abby Abinanti, Chief Judge of the Yurok Tribal Court, first contacted John Unruh, the Pro Bono Coordinator at Swords to Plowshares in San Francisco. Judge Abinanti was seeking help to address legal barriers to veteran benefits, pensions, and discharge upgrades that were being experience by the Native American community in California’s northernmost regions. Many veterans were traveling hours to San Francisco to visit a medical center. Others had never applied for benefits, or had gotten so frustrated with the system and the long processing times that they had given up, untrusting of the system. 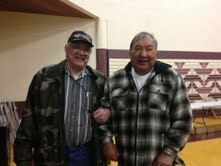 One of the volunteers meets with a client at the Hoopa clinic on Day Two. John reached out to OneJustice, knowing the Justice Bus Project allows pro bono lawyers and law students in urban areas to put their skills to use in rural and isolated parts of the state. Additionally, when needed, our flexible model enables us to bring the legal services attorneys with the legal expertise needed with us, on the bus. Together, OneJustice, Swords to Plowshares, and the Yurok Tribal Court decided the Justice Bus model was the appropriate vehicle to assist this community. Driving over the Golden Gate Bridge on that January morning, silhouette of the City behind us, students alert and excited, I felt confident the trip would be a success. Months of planning with our partners ensured a solid foundation for two days of legal clinics. After a winding five-hour drive along Highway 101, through the Redwoods and small towns like Hopland and Cloverdale, we arrived in Bayside, CA. Like clockwork, we set up the clinic and began meeting with clients. Students conducted intake interviews and consulted with supervising attorneys from Swords to Plowshares to discuss each case, deliver legal advice, and fill out appropriate paperwork. We were joined by other volunteers from veterans’ organizations in the area, available to help with employment training, record clearance, family law issues and SSI. On Day Two, our Justice Bus team split into two groups in order to reach as many clients as possible – half heading off to Klamath, the other half to Hoopa. Thus, my second day began with another windy drive, this time in the back of a client’s truck along the beautiful Trinity River listening to stories about Bigfoot sightings and fishing. This particular client picked us up last minute when our original ride fell through, an example of the kindness we were met with throughout the trip. Another example is the lunches that were donated by the community during the second day of clinics – large spreads of homemade sandwiches, soups, cakes and snacks kept us energized as we met with clients. Over the course of the two-day Justice Bus trip, we assisted thirty-six clients. Many of the clients stayed to visit with their friends and fellow veterans after we finished assisting them. As a result, each clinic felt more like a community gathering – and we were welcomed into that community, with gifts of homemade kippered salmon and Yurok Tribe t-shirts. 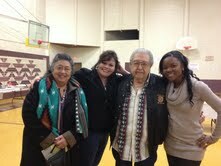 And the clients honored us by sharing their personal histories and struggles. I remember one veteran in particular who visited the clinic to get assistance with his claims for benefits only because of repeated insistence and pressure from his family to get help. It took a lot for him to be there. 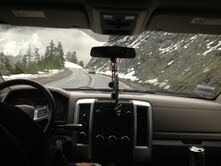 His story alone made the long trip feel well worth the distance traveled. 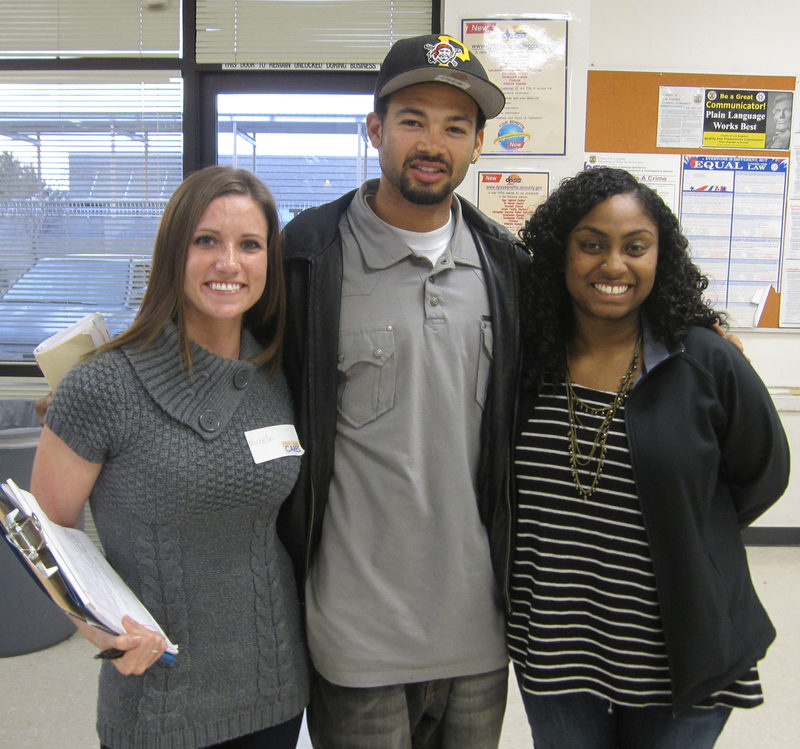 Many of our clients stayed to visit with friends after their clinic appointments and welcomed us into their community. As we departed, there were thank you’s all around. Our team was thankful to be there and offer legal assistance, and we were thanked profusely for coming – and most importantly, we were asked to return. Because here is the tough part: This trip really stretched our capacity – traveling farther than the Justice Bus project ever has before. It took a strong partnership with University of San Francisco Law School and a group of truly dedicated donors to make the trip possible. And, at the same time, it is clear from our trip and subsequent conversations with the Yurok Tribal Court, that there is still a lot of work to be done in the Humboldt and Del Norte areas. We were able to help some veterans, but it was not enough. My hope is that this trip helped pave the way for future trips so that we can continue to chip away at the need for legal assistance among low-income and otherwise underserved communities in the region. After being there and starting to build community with these veterans, I feel so deeply that we cannot simply walk away – one Justice Bus trip alone was simply not enough. Clients and community members welcomed us – and we are planning to return to bring even more services to this area. And I’m so proud that the OneJustice team is stepping up! We are in the process of planning future Justice Bus trips that will not only focus on the Native American veteran population in the area, but may include providing legal assistance for Yurok Tribe families with children with special education needs. At the same time, we’ve learned that there is a substantial need for help for immigrant youth who are eligible for the new federal immigration relief program (Deferred Action for Childhood Arrival). I have vowed to myself that we will return – because we are now in community with this tribe and this underserved region, which faces so many barriers to legal assistance on critically important issues. And finally, this trip was a successful expansion of the Justice Bus Project. We’ve always wondered what the outer boundaries of these trips might be. How long are people willing to ride on a bus to deliver free legal assistance? How willing are truly distant community to receive that help? How far are our volunteers really willing to go? I learned so much during this first overnight Justice Bus trip – the importance of careful planning, the delicate work of building trust in a new community – and the fact that our volunteers are, quite literally, willing to go the distance to reach a community in need. 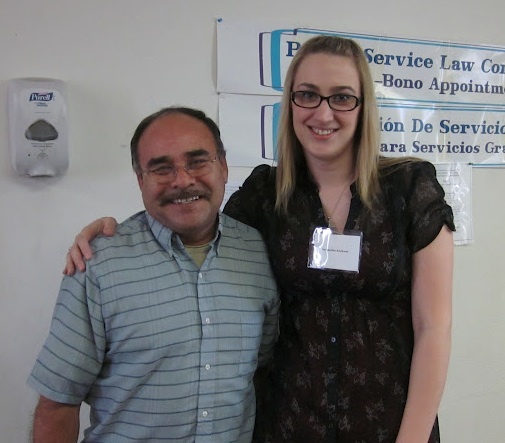 Lauren will be leading Justice Bus trips all over Northern California, bringing free legal services to rural areas! 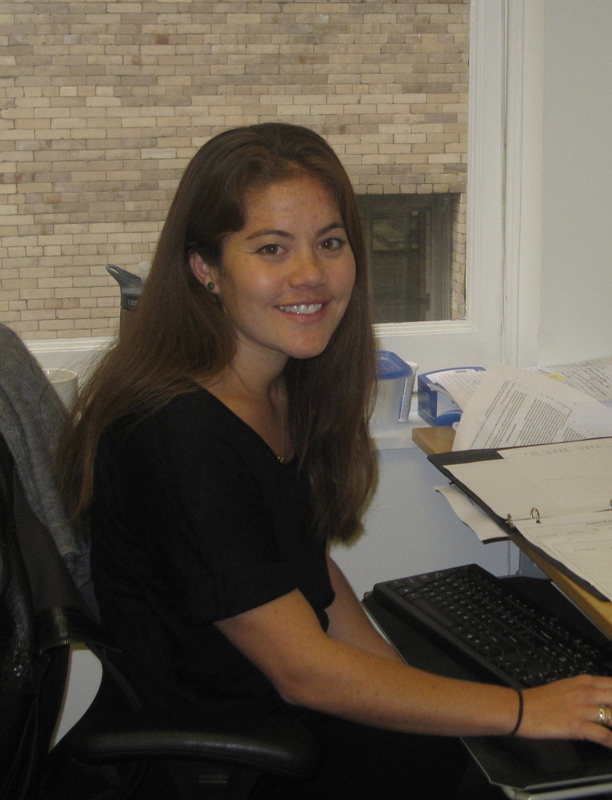 Lauren Roberts is one of OneJustice’s Equal Justice Works AmeriCorps Legal Fellows and runs the Justice Bus Project in Northern California. A Berkeley native, Lauren was raised with an eye and ear toward social justice work. Before law school she worked as a field organizer with MoveOnPAC, then moved to Japan where she taught English in the prefecture where her great-grandmother was born. 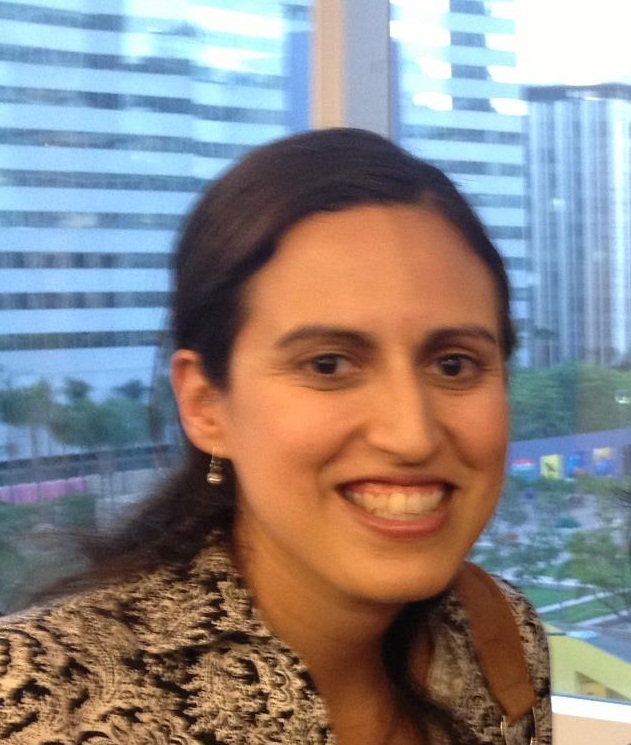 She also worked as a paralegal at Disability Rights Advocates, which ultimately propelled her to go to law school. During law school, Lauren spent one summer working with refugees in Cairo and her second summer working on behalf of death row inmates in California. Lauren is thoroughly enjoying running the Justice Bus Project and learning more about the needs of low-income communities in rural areas of the state. Additionally, organizing the Justice Bus Project has allowed her to put her varied experiences – teaching, organizing, and travel – to use in a legal setting. 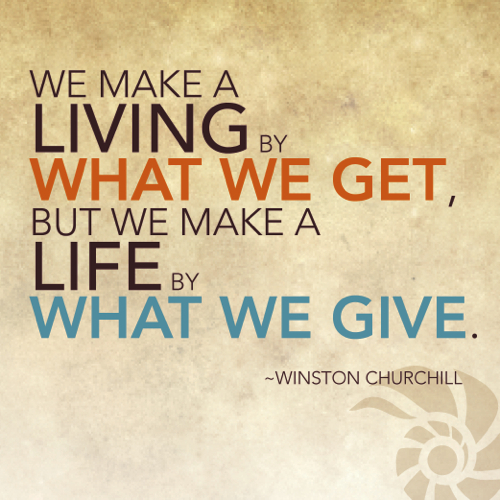 We make a life by what we give…….Happy #GivingTuesday! A creative way we can all take a little U-turn back to giving thanks…..and giving…..in the middle of these days so focused on getting. With two teenaged daughters in my house, the last several days were pretty focused on getting things! Black Friday and Cyber Monday fascinated my daughters, who were appalled that our family didn’t have big plans for tracking down the deals. Instead, we focused on shopping small on Small Business Saturday (see OneJustice’s last blog post), and today — Tuesday November 27 — we are fired up for #GivingTuesday, a creative new way to remind us all to give back in this season of giving thanks. OneJustice is a proud partner in the first annual #GivingTuesday, the day that also marks the official opening day of the giving season. We’re joining almost 2,000 nonprofits and corporations around the country to celebrate the work of nonprofits in our society – with the goal of driving donations of time, money, or services to charities with the same enthusiasm that shoppers have on Black Friday. It is a beautifully simple idea, and one that calls on ideals and values that are at the core of American society. First, find a way to give back – through your local school, faith-based organization, charity – maybe even through OneJustice! Then tell others in your network about what you did – and why it matters. #GivingTuesday is about reminding all of us that we are a generous people – with our time, our energy, and with our financial support. How are you called to participate in acts of giving today, the first-ever #GivingT uesday? One way to celebrate #GivingTuesday is to Give the Gift of Justice to veterans facing legal barriers to benefits and medical care, vulnerable seniors living in rural and isolated areas of the state, and low-income children who need legal help to access new immigration programs or educational services. Donate today to our Veterans, Seniors, or Children’s Legal Aid Funds, and your donation will be matched dollar-for-dollar by a generous group of donors who are also exercising their generosity today as part of #GivingTuesday! And then let’s all help spread the word! Then take a picture of yourself with a piece of paper proudly saying that you “Gave the Gift of Justice” on “#GivingTuesday” and post it to the #GivingTuesday facebook page and also the OneJustice facebook page. However you decide to give back to your community, we thank you! The world is a better place because of your generosity. We look forward to celebrating #GivingTuesday with you every year. 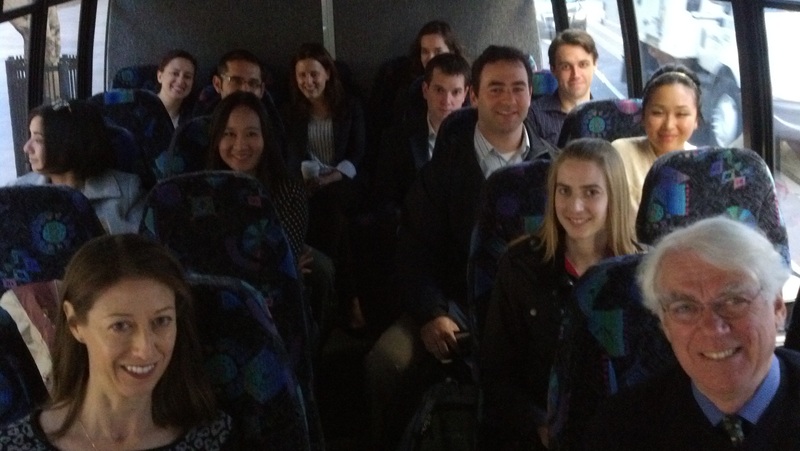 Fenwick & West celebrates pro bono week by boarding the Justice Bus! 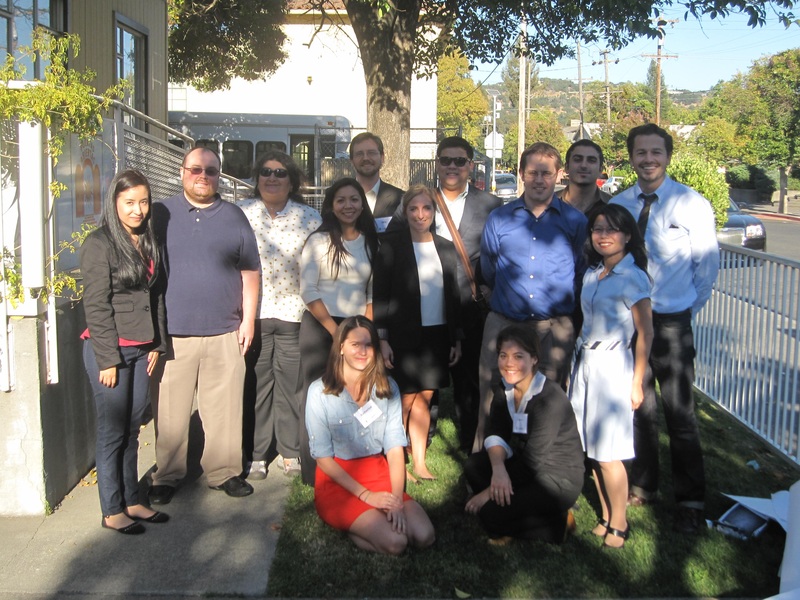 National Pro Bono Week (October 21-27) is coming to a close, but today is just the beginning for many immigrant youth in Napa County, who will be one step closer to adjusting their immigration status thanks to today’s Justice Bus Trip with attorneys from Fenwick & West and Legal Aid of Napa Valley. Thes e youth are known as DREAMERS, after the Development, Relief, and Education for Alien Minors (DREAM) Act (pending in Congress). These kids entered the United States as children under the age of 16, have lived here for at least five years, and are either in school, have graduated from high school, earned a GED, or served in the military. For many of them, the United States is the only country they have ever known as their home. This past June, the Obama administration issued an order that allows these youth to apply for what is known as “deferred action for childhood arrivals” (a formal reprieve from deportation), and when they are approved, they able to get work permits and help support their families. California has by far the largest number of youth eligible for this new program – almost 300,000 kids. As you can probably imagine, the phones of California’s nonprofit legal organizations started ringing off the hook as soon as the new program was announced – and the nonprofits in the OneJustice network are swamped with requests for help. Today, during National Pro Bono Week, Fenwick & West attorneys are boarding the Justice Bus and committing their time and energy to helping to meet the need in Napa County, in partnership with the Legal Aid of Napa Valley. The volunteer attorneys will be providing essential legal assistance and advice to the youth and completing the legal forms required to apply for the program. 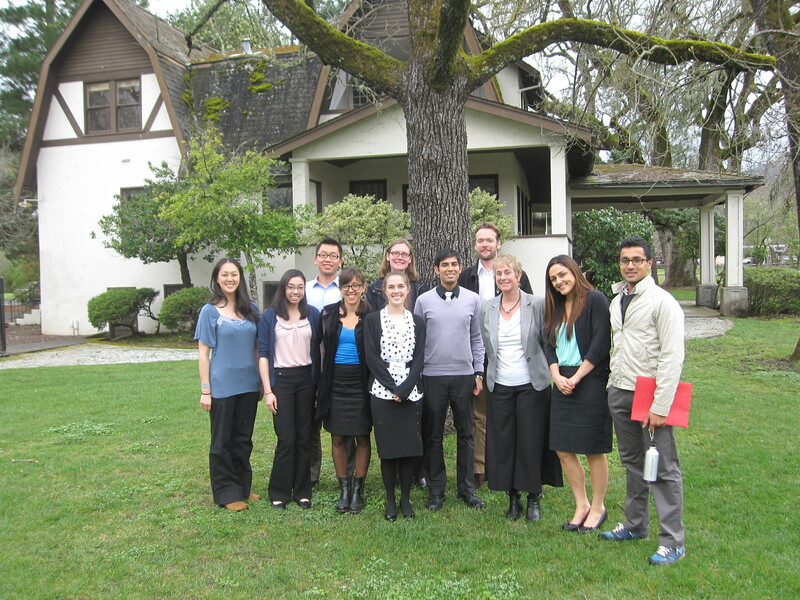 This wonderful group of law students from McGeorge School of Law traveled to Napa County on the Justice Bus to help the youth prepare for Fenwick’s clinic today. The Fenwick attorneys are the second phase in this particular Justice Bus series. Just two weeks ago, a group of students from the McGeorge School of Law did their own Justice Bus trip to Napa to screen youth for the program and help the kids begin to gather all the necessary documentation for the clinic staffed by Fenwick attorneys today. Thank you to Fenwick & West, McGeorge School of Law, and Legal Aid of Napa Valley for being there for these youth in this pivotal moment in their lives. What an amazing way to close national Pro Bono Week! For more information about Deferred Action for Childhood Arrivals, check out this great resource page from the Immigrant Legal Resource Center (ILRC). Bringing greater fairness to the world takes a network. . .
OneJustice supports a network of 100+ nonprofit legal organizations, law firms, law schools and businesses. Each year this network provides life-saving legal help to over 275,000 Californians facing legal barriers to basic life necessities and core civil rights. You – like everyone in our network – are an essential part of the solution to the fact that millions of our neighbors suffer needlessly from solvable legal problems. In honor of the work that our network does, each month we’ll feature an interview with a different participant in the network. This month we interviewed Martin Tannenbaum, Program Director and Faculty of our Executive Fellows program and a generous investor in OneJustice’s work. Martin, you’ve had a long history in the private sector. How does that experience impact your work with OneJustice? Martin Tannenbaum, Executive Fellows Program Director, is a proud member of the OneJustice network. For many years, I earned a living developing new businesses and services in healthcare and financial services. I built a reputation as the person who could innovate and create change in some of the largest corporations in the U.S. But it’s one thing to create change when you have the resources of a Merrill Lynch, quite another when you’re operating in the social services sector. The opportunity seemed too great to resist for someone committed to change and innovation. About 12 years ago, I was drafted by the Entrepreneurship and Strategy Department at Boston University’s School of Management to teach innovation and corporate entrepreneurship. One of my colleagues, Andrew Wolk, a social entrepreneur, introduced me to the idea of cross-fertilizing the best of business theory and practice with the passion of the social services sector. I helped him create curriculum for the Inner City Entrepreneur program – which introduced cutting edge business research and case studies to mostly minority business owners within Boston neighborhoods. We engaged a wide range of faculty, developed peer-support networks and recruited mentors to assist these entrepreneurs in making critical changes in their business models and operations – and building their commitment to give back to their communities. It worked to transform their businesses; a more refined model worked for middle managers at Jewish Family and Children’s Services; and now with the OneJustice Executive Fellowship Program, it has begun to change the approach and success of leaders within the legal services sector. What gets you excited about working with OneJustice? OneJustice is committed to changing the sector – which means operating more effectively in order to serve increasing numbers of clients in a less certain revenue environment. By providing a range of training and support to legal services organizations, OneJustice is uniquely positioned to increase the effectiveness and reach of the many worthy and under-resourced organizations across the state of California. Also, by advocating in Washington, OneJustice is a clear voice for the needs of the underserved. You’ve worked in lot of industries and sectors. What do you think sets the legal services sector apart from other industries? The force of law has the ability to change people’s lives in fundamental ways. At its best, our courts can and should affirm the dignity and importance of each person in our society – and each person’s right to live fully and equally. And a win for one person, can be leveraged to enhance the position of many. I have seen the courts change the face of what it means to be female, African American, GLBT, and differently-abled. The legal services sector drives this important work. Executives of nonprofit legal organizations are to for-profit executives as Ginger Rogers was to Fred Astaire. They do all the same work – but backwards….and in heels! How would you compare and contrast the challenges for legal services leaders versus business leaders? I’ve said this many times, and I’m not sure who deserves the attribution, but I think leading in this sector is a lot like being Ginger Rogers – you have to do everything that Fred Astaire does – but backwards and in heels. And then Fred gets most of the accolades. I greatly admire our legal services leaders. What makes OneJustice’s Executive Fellowship different from other executive programs? There are a number of key differences. While the Fellowship is focused on the legal services sector – cases and discussions are about real challenges and solutions within legal services organizations – the faculty are from outside the sector. We need fresh ideas and the ability to borrow from private and social sector organizations that are thinking differently to meet growing needs. Our faculty has extensive experience with both for-profit and non-profit organizations. The program also challenges participants to make explicit links between what they learn and do. Too much adult learning is about stimulating people for a day or two and then they go back to work and lack the know how or time to apply what they learned. We make it clear that it’s not about piling on new ideas – but taking things off their plate to make room for real change. Finally, the cost is a real differentiator. Because our program is generously underwritten by the Marcled Foundation and people who believe in the need for change in our sector, participants pay less than 20% of what a program of this caliber costs elsewhere. In addition to being a lead faculty for the Executive Fellowship program, you also personally support OneJustice. Why do you make your own personal investment in OneJustice’s work? I give where my support can have the greatest impact. I know that because OneJustice creates stronger legal services organizations, each dollar I give can affect many more clients; can improve the effectiveness and efficiency of many organizations; can help speak with a strong voice to legislators and others who control the purse strings. I am also impressed with the way OneJustice “does business” – they have honed their revenue model, built a strong management team, and of course, I have the utmost respect for Julia Wilson, the Executive Director. She brings unique vision and energy not just to OneJustice, but to the entire sector. 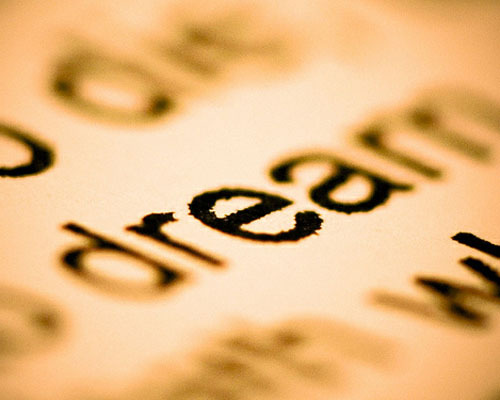 What’s your vision for the future of legal services? The future of legal services is being written today. Leaders are creating sustainable business models, rethinking delivery, meeting unmet needs, communicating effectively with those than can and should underwrite their important work. And I want to continue to be a part of this future. OneJustice does just what its name says – it seeks to create justice for everyone. I was taught that restoring a shattered world (“tikkun olam”) should be my main occupation. I feel extremely lucky that I’ve found an organization that shares my vision. César Chávez left a legacy as an educator and civil rights leader. Each year, Californians commemorate and celebrate his legacy on César Chávez Day by promoting a day of service in honor of his life and work. 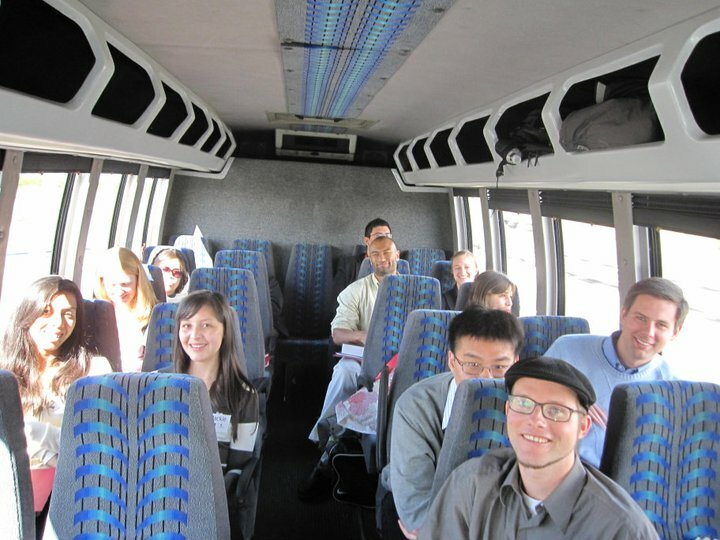 Rather than enjoy a rare day off from law school, a group of law students from the University of California, Davis School of Law volunteered with OneJustice’s Justice Bus Project at two estate planning clinics for seniors on March 30, 2012. These incredibly dedicated law students traveled an hour and a half and weathered the rain in order to help Legal Aid of Napa Valley provide free legal services to low-income seniors living in mobile home parks in Calistoga. That’s right, I said mobile home parks in Calistoga. Having grown up in the Bay Area, I have visited Calistoga countless times and never once did I imagine, let alone see, there were mobile home parks in Calistoga. When I hear the name Calistoga, I immediately think of wine county, quaint Victorian bed and breakfast inns, and romantic spa getaway. When I travel down Lincoln Street, the main road in and out of Calistoga, I never saw even a shadow of the mobile home parks. Like so many marginalized communities, the residents of these mobile home parks are kept hidden from most people visiting Calistoga. Kristi Lesnewich, Senior Staff Attorney at Legal Aid of Napa Valley, talked to the students about the history of the two mobile home parks and the impact the law students would make in helping to provide access to legal services in these marginalized communities. The students met with 14 seniors and helped them prepare a number of estate planning related documents, including Advance Health Care Directives, Power of Attorney of Finance (“POA”), and simple wills. Students from UC Davis School of Law celebrate Cesar Chavez’s legacy by moving into action and providing free legal help to low-income seniors. 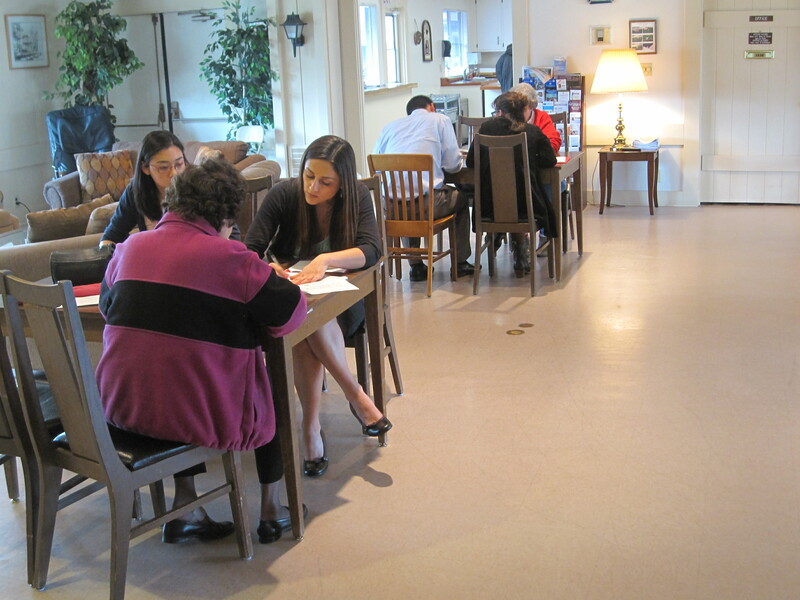 Despite the wet weather, the law students and seniors left the clinic smiling. The Justice Bus brings legal solutions by eliminating geographic barriers to justice – creating help where there were only problems – just as the normally dry golden hills of California transform into lush green fields after a few days of rain. We are so proud that the California Association of Nonprofits (CAN) Insurance Services recently announced that they have selected OneJustice and our Justice Bus Project for their 2012 Award of Nonprofit Excellence! The fact that this award is not limited to nonprofit legal organizations – but instead draws from the entire statewide nonprofit sector – makes us particularly proud, because it is also recognition of the important role that legal help plays in the emergency safety net system for Californians in need. The Justice Bus Project is the only “on the ground” project in California that brings together nonprofit legal organizations, law schools, and the private legal sector (law firms and the legal departments at corporations) to transport legal professionals from the urban areas where they work and live to rural areas of the state, where thousands of Californians face pressing legal needs with no access to legal advice or help. The clients served by the Justice Bus Project often live in isolated areas, far away from the closest legal nonprofit organization that could help them. Those nonprofits do their best to have lawyers “ride a circuit” (meaning they literally pack up their cars and drive through their service area, trying to reach those isolated pockets of poverty) – but this happens infrequently at best. California’s law schools and law firms are located in the urban coastal areas of our state – the San Francisco Bay Area and Los Angeles. The highest poverty densities are in the Central Valley, the area on the border with Nevada, and the middle of the state in the far north. This significant mismatch in resources and need is our reality – but that does not (and should not) be the end of the narrative. While a report released two years ago by the California Commission on Access to Justice clearly documents the inequity that exists in rural legal resources – few have moved from thinking about the problem to actually doing something about it. Rather that accepting this inequity, California’s legal community should work together to use transportation – and technology – to get the resources (lawyers and law students) out into the areas where their help is so needed. The Justice Bus is just one way of making that happen, and we’re thrilled that the rest of the nonprofit sector is recognizing its importance. Thank you to CAN Insurance Services for this award!